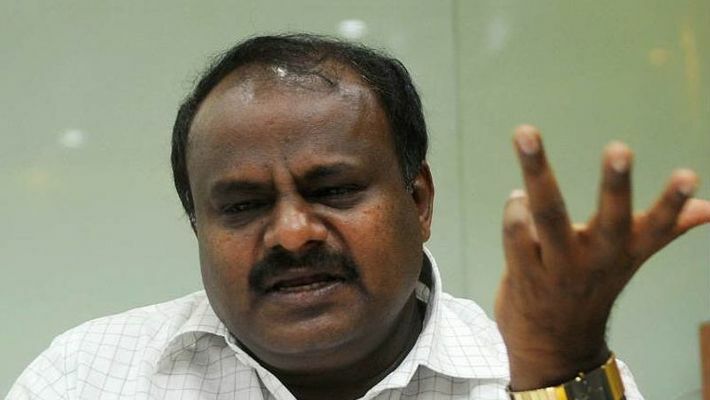 The recent news of 'operation Kamala' resurfacing in the media, which claimed that Congress MLAs camped with BJP leaders in Mumbai, has not only put the coalition Congress-JD(S) into a spot of bother, but has also put BJP on the defence. Bengaluru: After reports of Congress MLAs camping in Mumbai with BJP leaders surfaced with photos of Ramesh Jarkiholi (Gokak), Pratap Gouda Patil (Maski), B Nagendra (Ballari Rural) and Mahesh Kumathalli (Athani), the Congress and the JD(S) started showing signs of tension and animosity. Although the state BJP unit denied any such move and stressed that their focus is only on Lok Sabha election now, Congress leaders said that the BJP is 'desperate' to dislodge the coalition government. "BJP is only preparing for Lok Sabha election. The dissidence in the Congress and JD(S) always keeps surfacing and the BJP is always blamed. If some channels are flash such reports without any confirmation from the BJP then it is for viewership," said CT Ravi. However, Congress MP VS Ugrappa said that one of their MLAs is in touch with the BJP. Ugrappa also said that the Congress is trying to convince him not to take any step that could jeopardise state administration. "BJP is desperate in destabilising the government. Since the BJP is aware that they will score below 10 seats out of 28 if the coalition continues, they want to disturb the government," said Ugrappa. There is speculation that Malleshwaram MLA Dr Ashwathnarayana is in Mumbai and the Congress believes that the BJP leader may be trying to woo Congress MLAs to switch loyalty. Dr Ashwathnarayama was not available for comment. However, Congress spokesperson Kengal Shreepada Renu opined that only a few sections of the BJP is looking to destabilise the government. "I too have heard about Dr Ashwathnaraya trying to pull down HD Kumaraswamy-led coalition government. The irony here is that Dr Ashwathnarayana being a Vokkaliga is reported to have made efforts to pull down HD Kumaraswamy another Vokkaliga who is at the helm of affairs," said Shreepada Renu.